The couple, Ina Rogers and Jonathan Allen, never sent their children to the local public schools in Fairfield, California, and school officials there said they did not have contact with them. 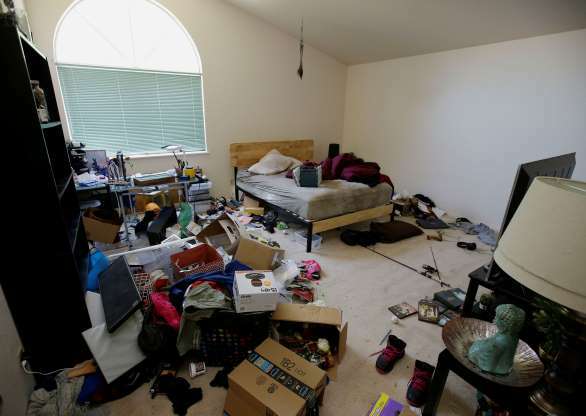 Authorities have saidthe children lived in squalor and described intentional abuse that led to puncture wounds, burns, bruising and injuries consistent with being shot with a pellet gun. Rogers was charged Wednesday with nine counts of felony child abuse, and Allen, her husband, faces nine counts of felony torture and six counts of felony child abuse. They deny the charges. While living in Minnesota in 2011, Sarah Hart pleaded guilty to a misdemeanor domestic assault charge in connection to one of her daughters, court records show. After that case was resolved, the Harts removed all six children from public schools, according to The Oregonian. The family reportedly did not register their children to be home-schooled in Oregon. After the Turpin case, lawmakers in California introduced legislationthis year that would have mandated more oversight of home schooling. But the bill died after parents who home-school turned out en masse to protest what they see as infringements on their rights.